So, in that spirit: tannins. I’m guilty of talking about tannins in some of my posts, because they are fundamental to your experience of drinking a lot of wines (especially reds). All wines, both white and red have tannins. But usually we only talk about them in red wines, as the tannin level in white wines is much lower. Tannins make the wine taste dry – imagine cotton wool in your mouth, or the taste and experience of stewed tea. They come from either the grape skin, or oak barrels, or both. Because red wines are fermented with the skins, this automatically leads to more tannins. Wines with a high tannin content often improve over time, with the tannins becoming softer and the wine tasting smoother. This is a good tip if you want to buy wine to lay down – high tannins = good preservatives and a wine that you can drink at an older age. If you want to try a red wine that is likely to have a high tannin content, go for something like a Shiraz, Cabernet Sauvignon or Tempranillo. For a lighter wine with a lower tannin content, Pinot Noir or Merlot are good ideas. Happy drinking! With a glorious 4-day break just around the corner at Easter, what better time to suggest a big, bold and tasty red to go with your seasonal roast lamb. I was treated to this Australian shiraz at the weekend, and boy does it pack a punch. It costs a bit more than your usual bottle that you would grab off the shelf, but if you’re looking for a tasty treat or a bottle to impress friends, this is definitely it. So, the basics. 2008 Tim Adams, Aberfeldy, Clare Valley (£27.99, Tesco, other years vary in price). This is a typical Australian shiraz in its flavours – bold, high tannins (you can really feel it at the back of your mouth), oak flavours along with blackcurrant and a peppery hint in there too. It is a gorgeous dark colour, but if you get red wine headaches after too much of a good thing, this probably isn’t the one for you due to the heavy tannins and high alcohol content. The grapes are fermented on their skins for 4 weeks, then spend 24 months in new American oak barrels before being blended and bottled. The wine then spent 5 years maturing in the bottle before we unceremoniously cracked it open and devoured the whole lot. But what does this actually mean? Well, the oak barrels give a lovely flavour to the wine, and the time spent in the bottle certainly helped mellow those tannins a bit and give a lovely smooth flavour. Certainly a winner for the Easter dinner table, I’d say. Other options: Wolf Blass Red Label Shiraz Cabernet. £6.75, Sainsbury’s. Penfolds Koonunga Hill Shiraz. £10.79, Waitrose. I love competitions, and resolutely stick to my Mum’s motto that the more you enter, the more likely you are to win. 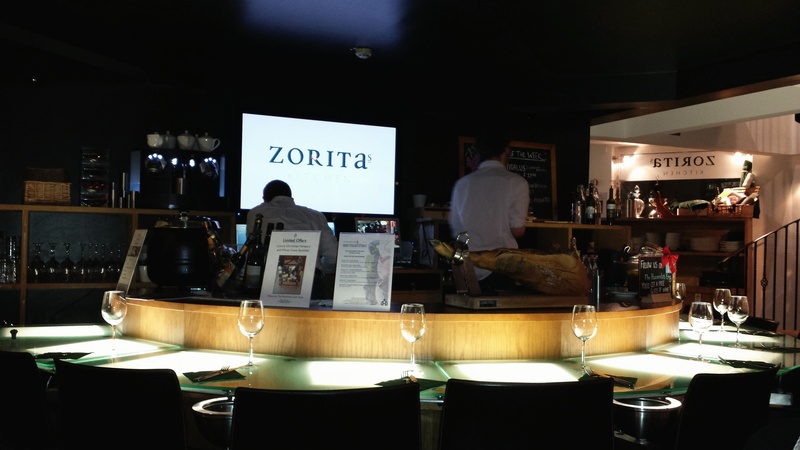 Unfortunately that hasn’t resulted in any Caribbean holidays yet, but I was lucky enough to win a meal at Zorita’s Kitchen in London, courtesy of Majestic Wine, which I enjoyed with the family last week. 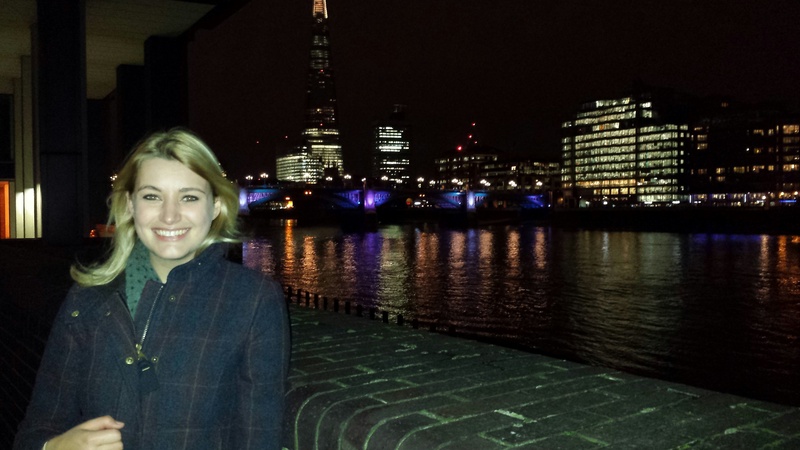 Zorita’s is in a lovely location on the banks of the Thames, opposite the Globe Theatre, with views of the river and Shard. Pretty impressive! But then the food and wine were pretty impressive, too. We enjoyed a lovely selection of tapas, which seemed to just keep coming. The real highlight for me was the wine. 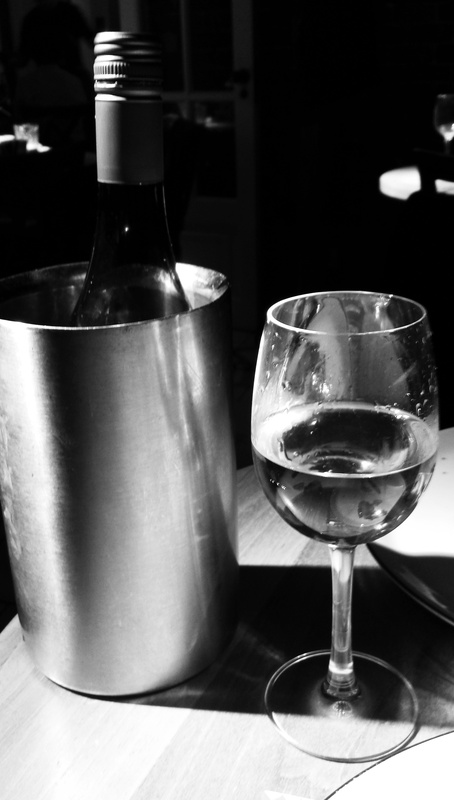 Having got there early with my boyfriend Tim, we opted to enjoy a glass of white while waiting for the others. This crisp, tasty and fresh wine was perfect enjoyed with some olives and gossip! I hadn’t tried Verdejo before, and am pretty uneducated in the Spanish-wine department overall, but this was a great introduction. The first, a Crianza Rioja went brilliantly with the first plate of bread, cured ham and cheese that we enjoyed, and I was really impressed with the flavours. 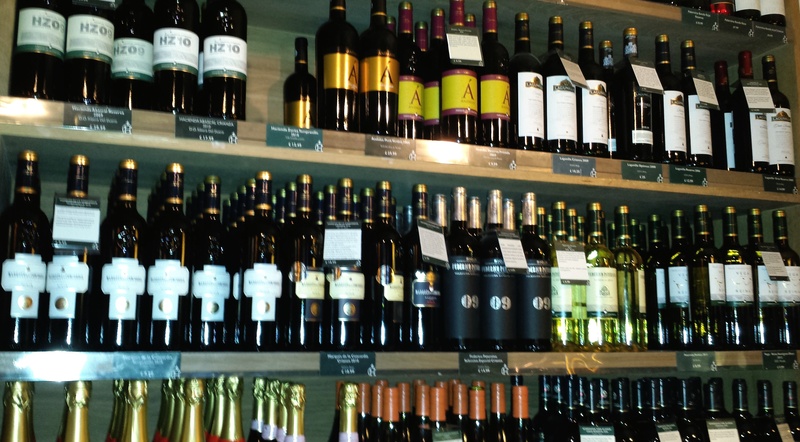 This one, on the left, can be enjoyed in Zorita’s for £18.49 a bottle – a good price for a very nice wine. But the undeniable highlight was the Marques de la Concordia Hacienda de Susar (bottle on the right). Retailing in the restaurant at nearly £50 a bottle, this was really special experience. It was one of the smoothest reds I have ever had. It was predominantly the Tempranillo grape (as is traditional with Rioja), but also has Syrah, Merlot and Cabernet Sauvignon grapes in the blend. Aged in barrels for a number of years before being bottled, the wine had really developed and had a lovely blend of flavours. Decanted and left to breathe while we polished off the other bottle only improved the experience. The bottle we enjoyed was one of the last 2007s that Zorita’s Kitchen had, but when they get the 2010 vintage in I’ll be one of the first through the doors! As you can see here, I had a lovely Christmas enjoying some very nice wine. Here are the reds that I was lucky enough to kick back and enjoy by the fire. 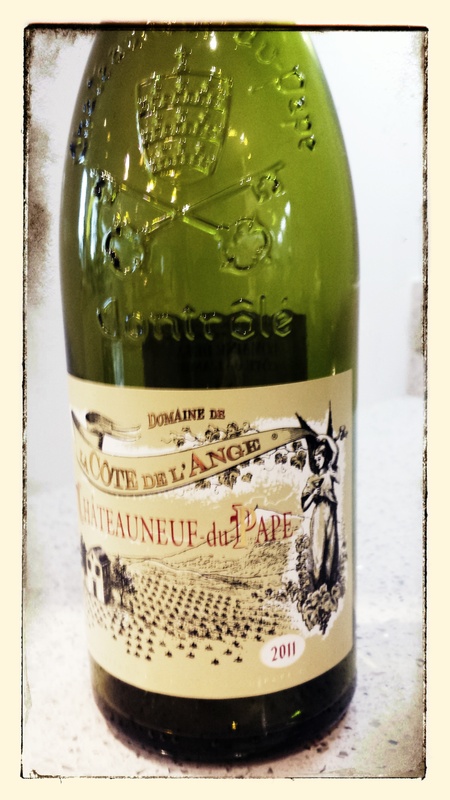 This 2013 Wine Society Cotes du Rhone was opened on Christmas Day evening, but to be honest I wasn’t that impressed. It seemed a bit flat and unflavoursome. But after being decanted the next day and left to breathe, it really improved and those big, bold flavours that I was expecting were much more prevalent. I’d still probably pick something different next time, but it was an easy-drinking red (in the end). For a hopefully more reliable option, this bottle from Sainsbury’s would be a good option. In contrast, big, full-bodied flavours practically punched you in the face from this really special Châteauneuf-du-Pape from Naked Wines. It was bold, tasty with big tannins and lovely smoky flavours. 2010 was a particularly good vintage – this bottle would easily have kept for another 5+ years and matured nicely, but the temptation to enjoy it was just too much! It worked brilliantly with a lovely baked ham with cloves, and the 15.5% alcohol content speaks for itself. High street offerings include this bottle from Ocado, or this from Majestic. And finally a really special wine, courtesy of my Dad. This 1962 Pauillac was bought for the significance of the year it was made (ahem, same age as Dad). Now it was a touch-and-go experience. The cork had disintegrated quite a lot, and the amount of sediment in the bottle was unbelievable. 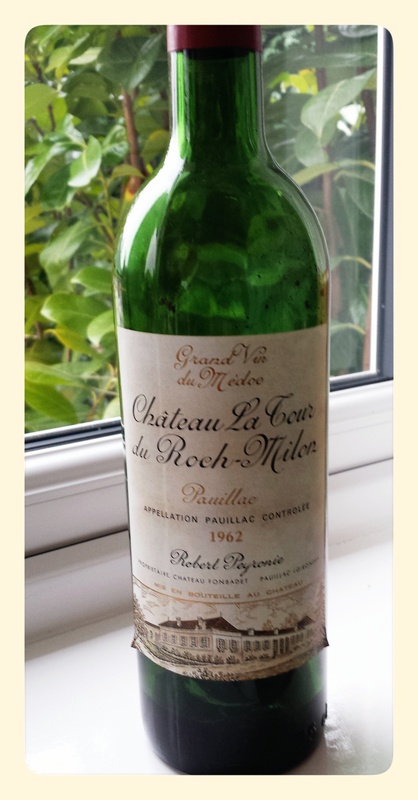 But after being strained, decanted, strained again and left to breathe, this 52-year-old wine was ready. And boy was it worth the wait. The colour had transformed to a really pale red, and it was one of the smoothest red wines I have ever drunk. The flavour was very different to anything I would normally drink, but the balance between oak and fruit flavours was perfect. No high street equivalent I’m afraid, but hey, you could always choose a good quality, full-bodied red from a supermarket and lay it down for 50 years yourself! Christmas – unapologetically one of my favourite times of the year. The presents, the food, and of course the wine. I had the great pleasure of not working on Christmas Day this year (unlike last year), so was determined to really enjoy the lovely wine that was on offer over the festive period. Here are the highlights (and no, I promise I didn’t drink them all myself!). 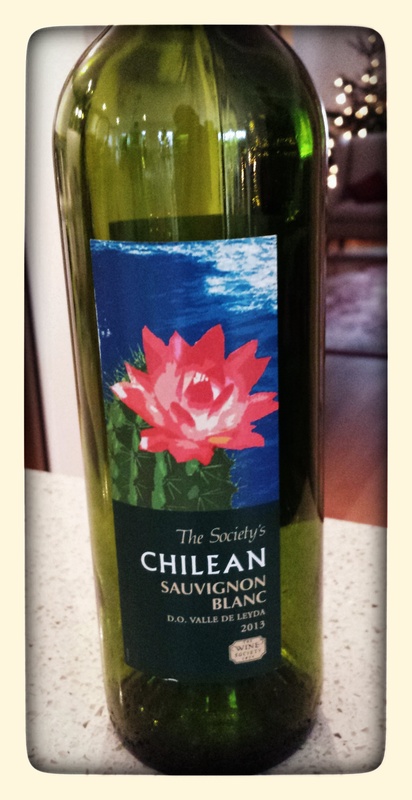 We enjoyed this Chilean Sauvignon Blanc courtesy of my Uncle who is a member of The Wine Society. It was a great light, lunchtime drink which went very well with our smoked salmon, freshly baked bread and general eating up of leftovers. I’m not usually a big one for South American wines, but this was very good. 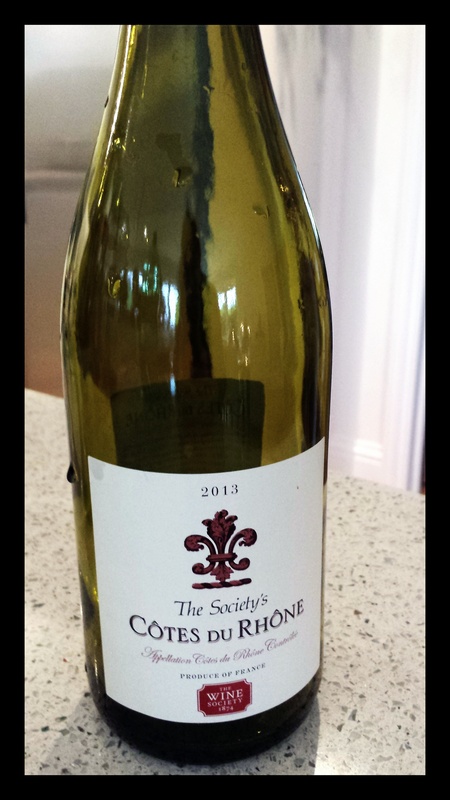 For similar options try this Sauvignon from Waitrose, or this Taste the Difference bottle from Sainsbury’s. Ah, back to my old favourite and all-time best bottle of white wine (in my humble opinion!). This New Zealand Sauvignon Blanc is produced by Bill and Claudia Small for Naked Wines, and is quite simply gorgeous. You can see me harping on about why I love NZ Sauvignon here, but this one – to me at least – is the best example I’ve drunk. Worked brilliantly with traditional turkey. Now I didn’t get to try more than a few sips of this Marsanne Viognier, as I was driving home after lunch. But from what I did have, it was a very nice, if different white. A more rounded and fruity offering than a traditional French Viognier, the Marsanne grape has a pear-like flavour and is richer and darker than other more commonly drunk whites. Give examples like this one from Majestic Wines a go with pork or turkey. And of course Christmas wouldn’t be Christmas without some fizz … although maybe more unusually this one was of the English variety. I’m not going to lie, I’m not the biggest fan of English wine. Usually I find it doesn’t live up to expectations, leaving me wishing I’d stuck to a French / Australian / Californian etc. But, to my pleasant surprise, this bottle from a Kent vineyard was brill. Much more comparable to Champagne than Prosecco or Cava, it was very tasty and made a great pre-Christmas lunch celebration. Interestingly, some vineyards in Kent are only 90 miles or so from the Champagne region in France, and have fairly similar, chalky soil. 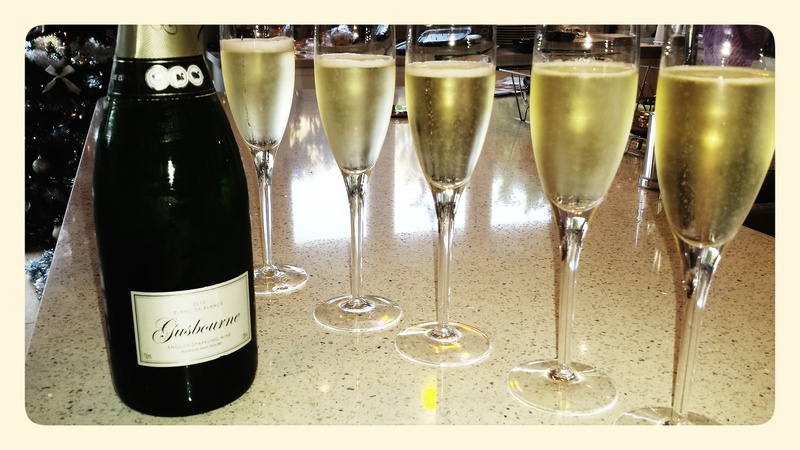 The smooth flavours of vanilla and buttery toast combined with the ‘pop’ of those lovely bubbles really was very enjoyable. And it might just have been enough to persuade me to try some more English wines with an open mind. St-Emilion. Merlot is the dominant grape, with Cabernet Franc and Cabernet Sauvignon in there too. Beautiful deep colour, fruity, woody and with some flavour of spices. Always a popular choice! Also look out for the St-Emilion “satellites” such as Lussac-St-Emilion – nearby vineyards using the same grapes, offering great value. Chateauneuf-du-Pape. High alcohol content, fruity and hearty red. The name carries a bit of a premium though, so expect to pay around £15 a bottle. But it is a sure one to impress if that is your aim! Shiraz Viognier. A nice mix of grapes. I like this one from Naked Wines, with the hearty Shiraz being nicely balanced by the lighter flavours from the Viognier grape. A Cabernet Sauvignon, such as the Wolf Blass yellow label. Goes well with most food or on its own, and is usually easy to locate in most supermarkets. Pinot Noir, preferably from Burgandy in France, or from New Zealand. A lighter red, that is best served slightly colder than other reds. Goes brilliantly with goats cheese or lamb, or meaty fish like swordfish. Pomerol. A real winner from the Bordeaux region of France. Similar mix of grapes to St-Emilion, with Merlot being the dominant one in the mix. Deep flavours, dark colours – think red fruit mixed with faint tobacco and liquorice. Ages well, try to decant before drinking. Worth the bigger price tag. 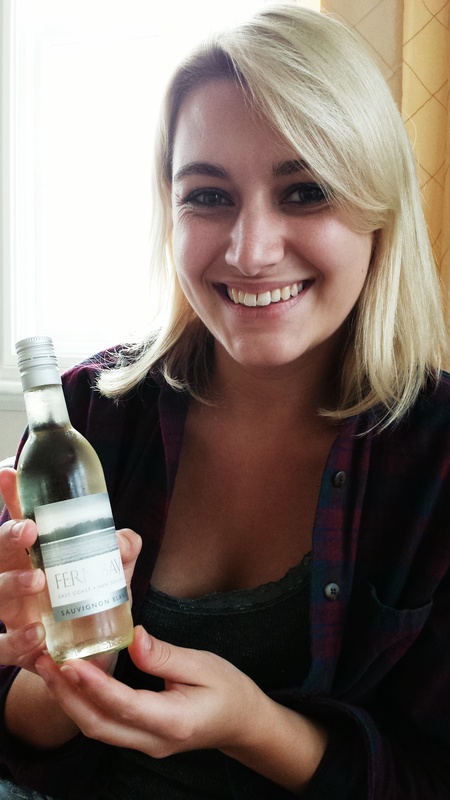 NZ Sauvignon Blanc. Always a favourite! See my post on Oyster Bay to find out why. Sancerre. 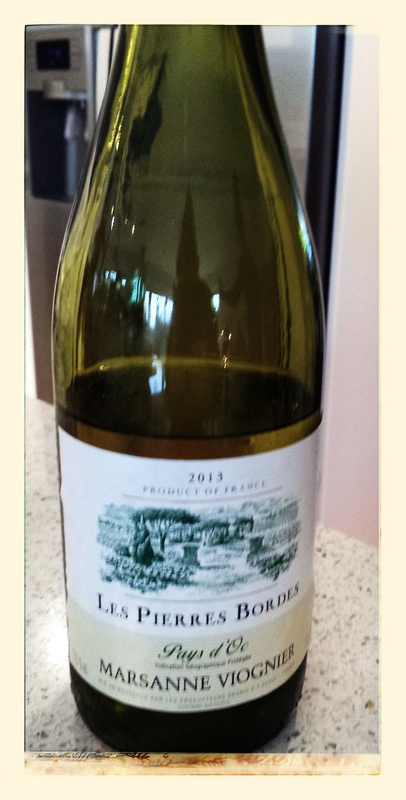 A classic white from the Loire Valley in France. Sauvignon Blanc grape, full of flavour and a nice balance between fruity and sharp, crisp citrus flavours which tend to dominate in the New Zealand Sauvignons. Petit Chablis. Dry white, a better value option than Chablis, but with most of the flavours and enjoyment! A really nice Chardonnay. Viognier. Usually from France, but I recently tried a very nice Californian variety, and Hardy’s do a reliable bottle from Australia. 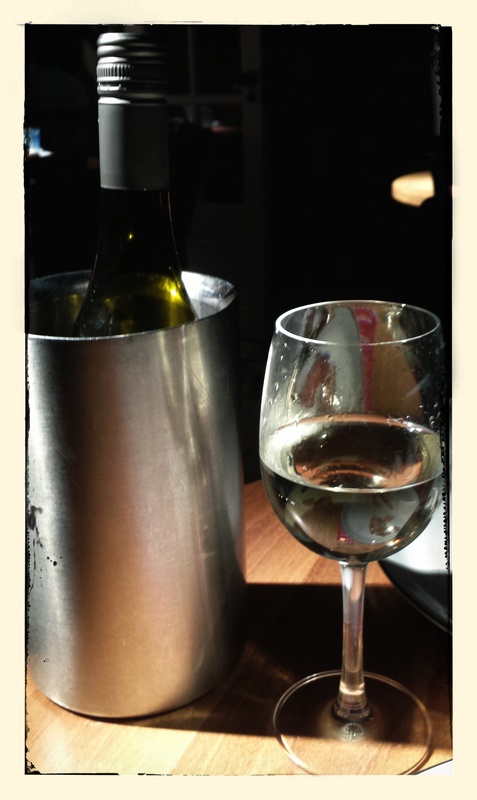 Viognier is a superb white wine, pale yellow / amber in colour, with a nice mix of floral and fruity flavours. Fresh, tasty and a nice change from Sauvignon. What are your fail safe wines? Tweet us @WineBlag or comment below. The Best Exotic Indian Wine? Have we tapped into a new trend? Peter Tomlinson explores the world of Indian wine in WineBlag’s first guest post. When you think of countries making wine you may think of the ‘greats’ such as France or the more recent arrivals such as Chile … but India? Well, on a recent business trip to Bangalore I’d spent two weeks avoiding drinking the water, unless it had been fermented with hops and yeast and turned into beer. However, on night 12 of a 13 night trip I saw a bottle of wine in the hotel and asked to take a look thinking it would be imported, but no, it was a local wine from India. First signs were encouraging, recognisable grape varieties of Cabernet and Shiraz. But, could a wine from India really be anything other than well, disappointing? 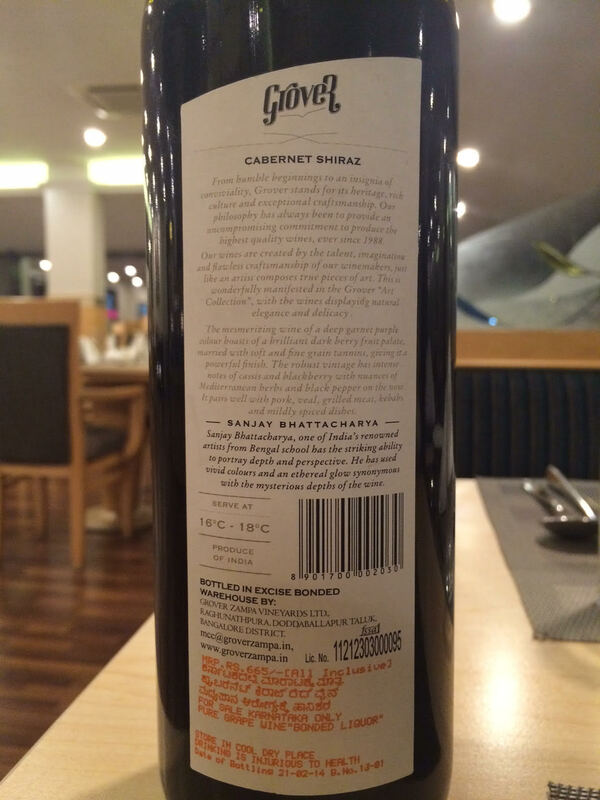 You’ll see there is a Decanter Commendation label – usually a good sign on any bottle of wine in India or elsewhere. The main soil in India is a deep red colour, and there’s no doubt that this does makes its way, even slightly into the wine. For red wine that’s actually alright, adding to the slightly earthy notes and not at all distracting; for white wine (yes, they make white wine as well) it could be more of a problem. All the usual typical Cabernet and Shiraz tastes were there, the blackberries, peppery etc. which when combined with the earthy undertones made for quite a nice drop of red wine. 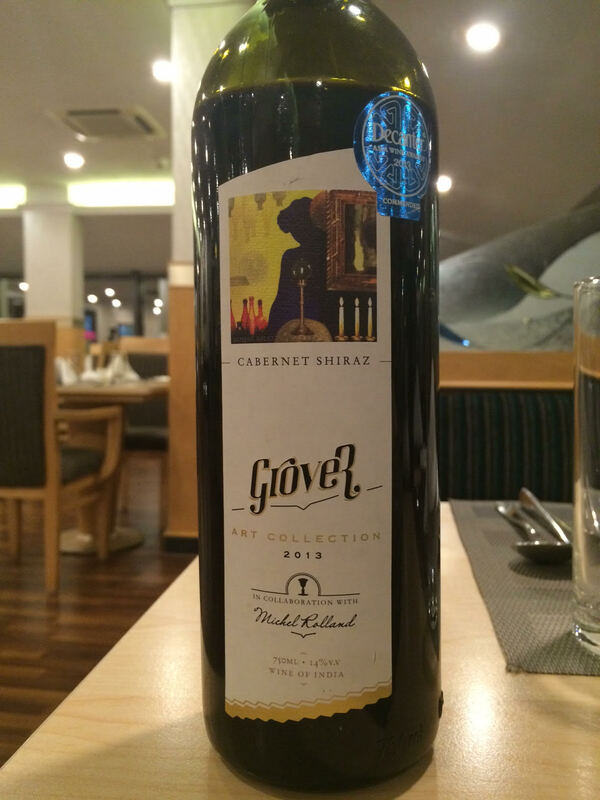 Intrigued I tried to find out a little more and discovered the Grover winery is only 25km from the impressive Bangalore (now Bengaluru) airport where I happened to be working, so in easy reach for a future trip. Curiously the grapes in India are harvested in February/ March after the monsoon rains of late autumn and a period of ripening in the drier winter months, with some slightly cooler evenings. In Europe the harvest is usually in late August or September which allows for the maximum ripening in the weaker northern climate. Further investigation revealed a Wine Society of India, with an office in Bangalore and even a Bangalore Wine Village event every two years. Travel really does broaden the mind! Having now returned home I look back and wonder if the wine really was that good or if the two weeks of wine depravation had somehow skewed my senses and dulled my taste buds. I don’t think so, and there’s only one way to find out…..luckily I have another business trip to Bangalore in a couple of months’ time. Maybe I’ll try another bottle, just to be sure, and even a Chardonnay as well, purely for the purposes of research you understand. Have you tried an unusual wine? Tweet us @WineBlag or comment below.